WHY GO: Sand, Sea, Boardwalk, Food: the quartet of traditional summer resort delights. Americans have always needed places to cool off and frolic, even before bathing wear technology caught up with comfort, and Rehoboth Beach DE has attracted families from Philly and the DC area since Victorian times. But New Yorkers and New Englanders will find this growing foodie destination a nice alternative to the wild Jersey Shore. Though Rehoboth Beach is a summer resort, the Mavens encourage you to visit “pre or post season” – just after Memorial Day but prior to “school’s out” mid-June when the crowds get impossible, or after Labor Day when days are hot and the Atlantic Ocean is still warm. Everything is open, but hotel rates are a fraction of those in high season, and there’s still a chance you’ll find a seat at the most popular and delectable restaurants. 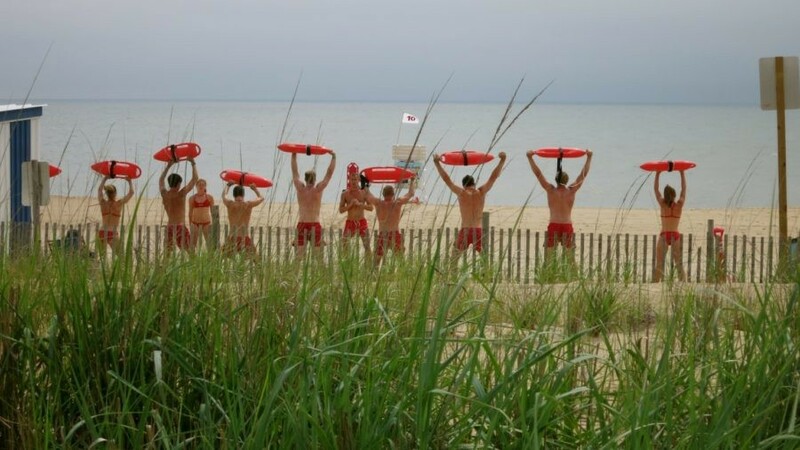 FYI – Rehoboth Beach is a family destination for every kind of family; read, LGBT friendly. ROAM: The Boardwalk. 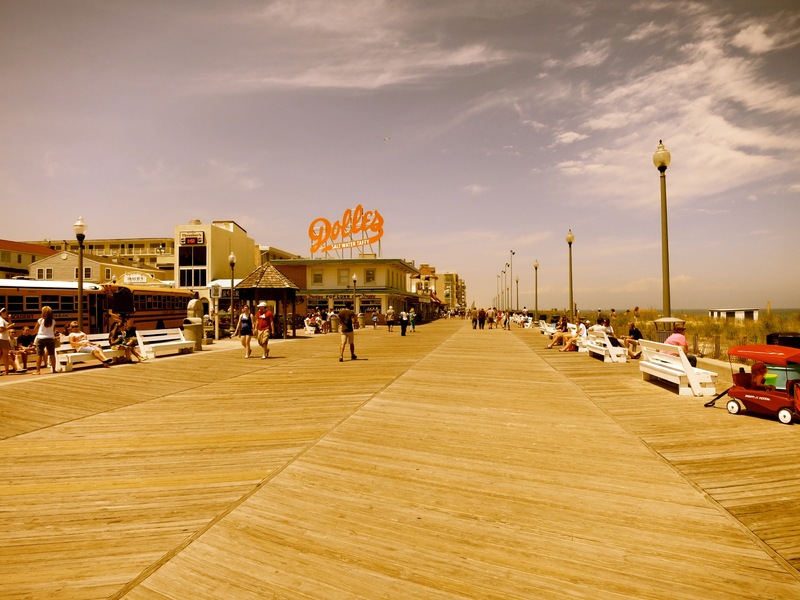 Thrasher’s Fries, Kohr’s Frozen Custard, smells of suntan oil, beach umbrellas, sticky fingers (in the best ice-cream-and-candy sense); the Rehoboth Beach Boardwalk is Atlantic City’s demure and wholesome cousin. STOP IN/ SAMPLE: Dolle’s. Affectionately named the “Willy Wonka of Rehoboth,” Dolle’s (pronounced like your childhood toy) has been around since 1927 and is a Rehoboth boardwalk staple. 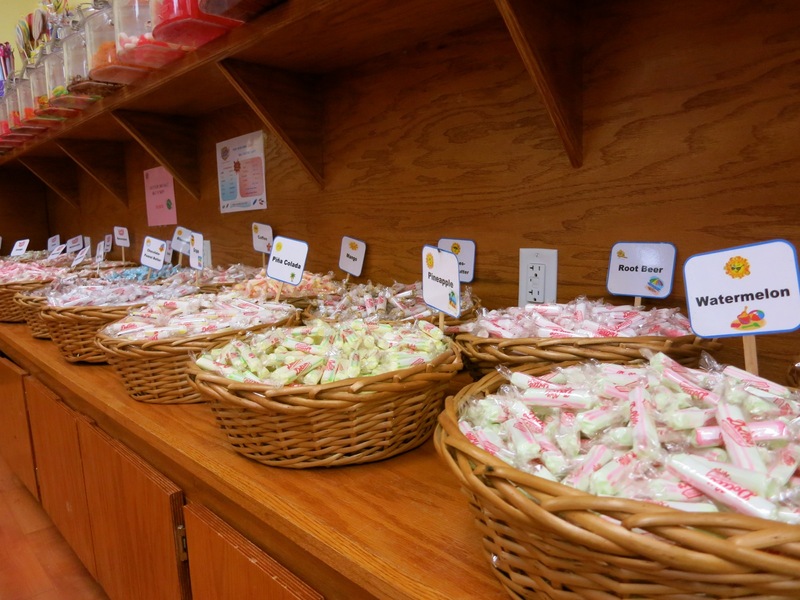 Here’s the thing – if you want one of the 500- 1,500 pounds of taffy (24 flavors) made here EVERY DAY, you’ve got to come in. Dolle’s doesn’t have a website and they don’t ship. But enter and sample away. That’s the beauty of a boardwalk stroll. 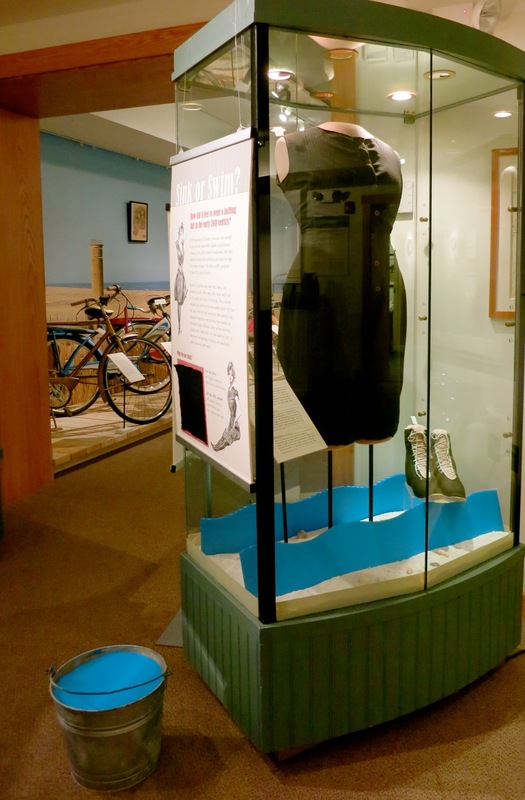 VISIT: Rehoboth Beach Museum. A quick stop just as you cross the canal into Rehoboth Beach, you’ll discover the Methodist Camp Meeting history of the area (which, like Martha’s Vineyard, evolved into a resort), some information on shipwrecks, and a revolving exhibit gallery long on nostalgia (Spring 2014 showcased classic bicycles). To this lover of the offbeat, the best display features samples of woolen bathing suits and a cement-filled bucket. Pick up the 30 lb. bucket to experience what one of these suits feels like wet. Makes you wonder how anyone back then ever wanted to take a dip. EAT: It is almost impossible to pick out “the best” of Rehoboth, when it comes to restaurants because a) a new “hot” restaurant seems to open every week, and b) locals and frequent visitors have their own particular favorites. 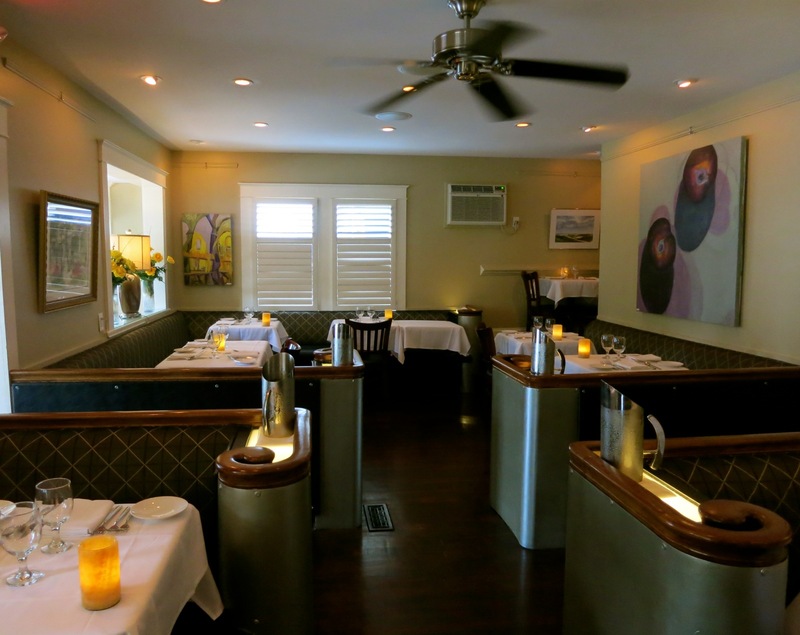 On most lists, however: Henlopen Oyster House, considered “the best seafood restaurant on the Delaware Shore” and a(Muse) where every plate is a work of art. EAT: Blue Moon Restaurant. Chef Lion Gardner works magic in this homespun spot. I enjoyed the cute Vodka Blackberry Peach Lemonade that came in a Mason Jar (to take home), and the Miso Glazed Salmon ($28), which was moist and perfectly prepared and portioned. The Jerusalem Artichoke Soup ($11) – textural and complex with a hint of coffee, underlying onion emulsion and sprinkled with spiced pumpkin seeds – was a joy to my taste buds. After dinner, walk into the adjoining Cashetta’s Cabaret for some of the finest and funnest entertainment in town. 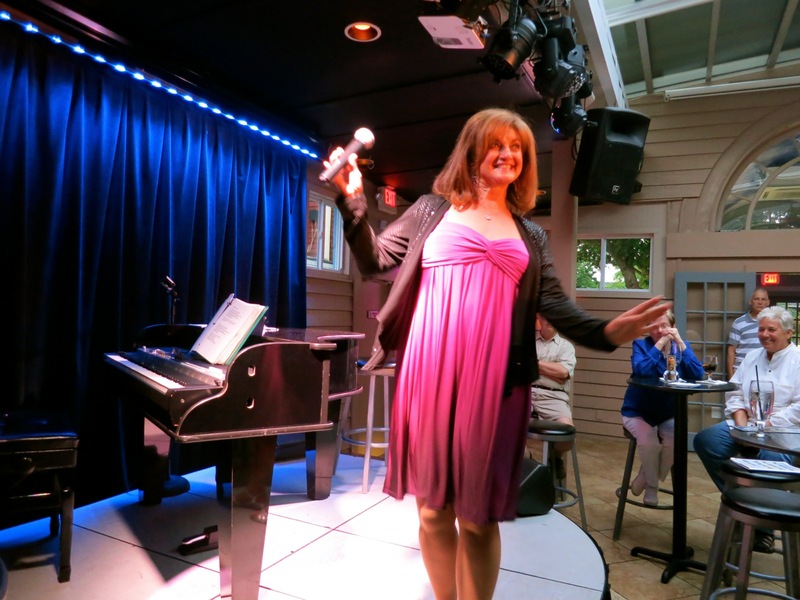 Disco-hit goddess, Pam Stanley belts out the best from the 80’s and with the help of Drag “Ladies,” hosts Rehoboth Idol. Check event listings – a show here is the perfect aperitif to dinner at Blue Moon. 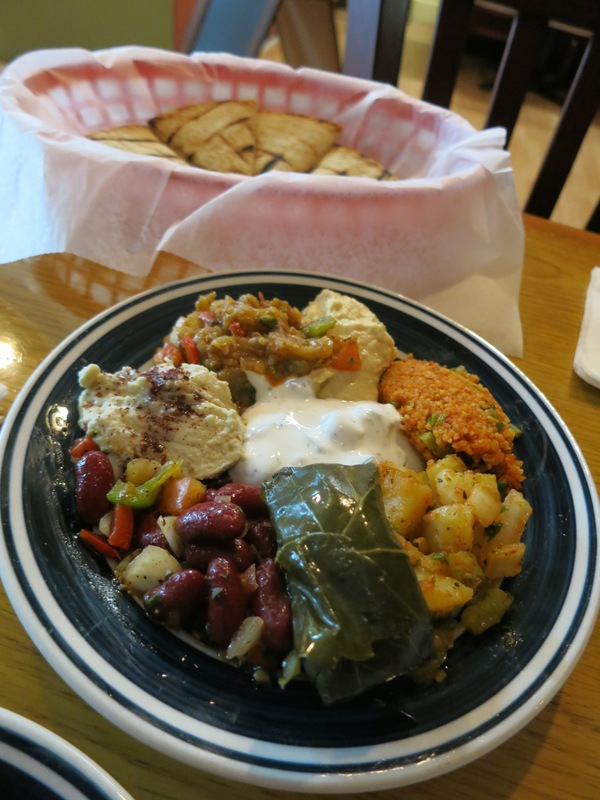 EAT: Semra’s Mediterranean Grill. Semra whips up fresh, incredibly tasty meals based on her grandmother’s recipes. She and her husband run this hard-to-find, unadorned, in-plain-site place on busy Rehoboth Avenue. With a gyro stall right on the sidewalk, directions to the back dining room often gets lost in the extreme signage and honky-tonk of the street. But if you yearn for a healthy, home-cooked alternative to all the boardwalk junk food, do make it a point to find Semra’s for the best of authentic Turkish dining. 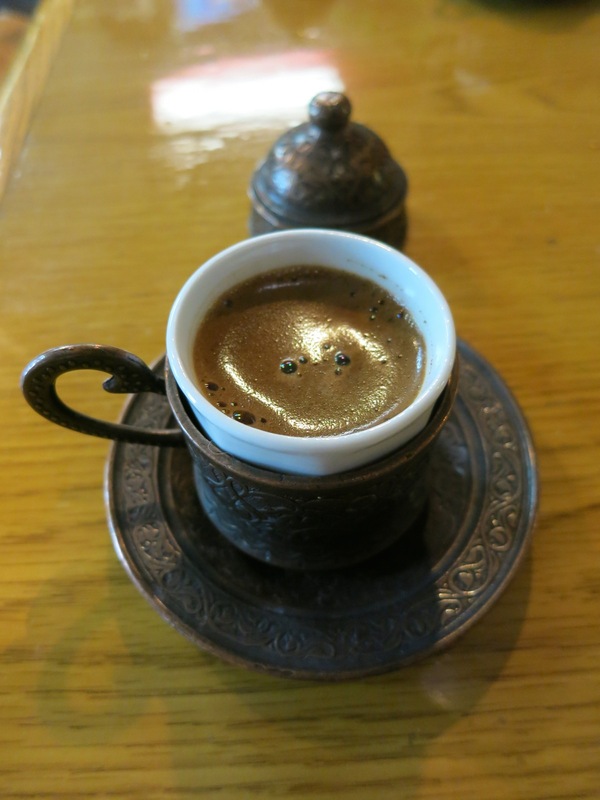 To begin with, order Turkish Tea ($2) – it arrives hot and amber-colored in a clear vase-like glass. Semra makes her own yogurt (no mass produced tzatziki for her), just one of the fantastic salads included on the must-have Combo Plate ($14.95) – a glistening composite of the restaurants greatest hits. And don’t pass up the Iskender Platter (named after Alexander the Great, $16.95) – sliced gyro over Pita bread with spicy tomato sauce. End with a shot of Turkish Coffee ($3.95) served in a tiny hand-tooled copper pot, that comes with a couple of pieces of Turkish Delight candy. Says Semra, “you eat sweet, you talk sweet,” which is, in one word, how I would summarize this great find. Sweet. STAY/UPSCALE QUIRKY: Bewitched and BeDazzled B&B. This place has an overabundance of quirk and joy, which extends from the idiosyncratic appointments in all of the rooms to the back-story of the owner herself. Are you a fan of the tv show, Bewitched? Or are old black and white Hollywood movies more to your liking? 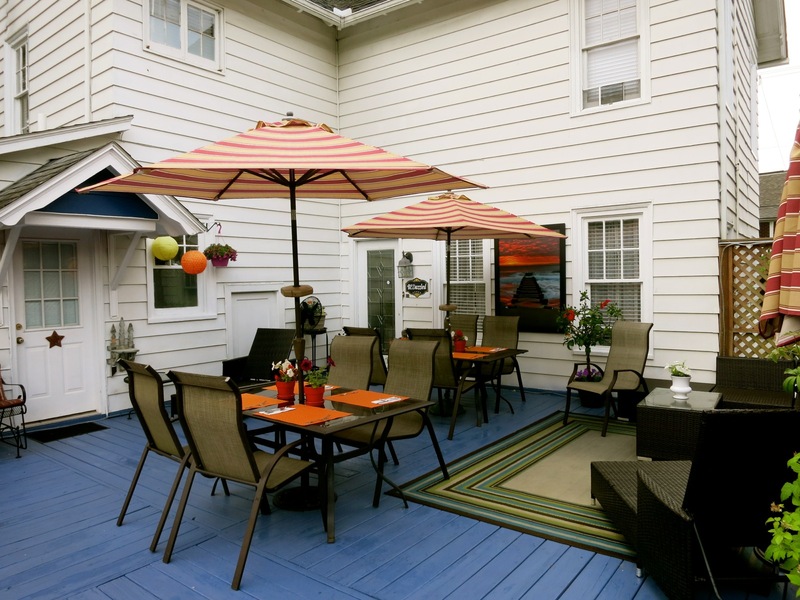 A serene and whimsical escape from the Boardwalk stampede, just one block from hopping Rehoboth Ave and two blocks from the beach, two shore homes side by side offer theme rooms to suit your interests. Rooms in BeDazzled feature top hats, clothing and posters from the Golden Age of Hollywood, and those in Bewitched are an homage to Elizabeth Montgomery and the whole cast of the show with nods to what owner Inez Conover considers the “first television show that confronted bigotry and celebrated diversity.” Conover is particularly sensitive to these issues. Presumably one of the only lesbians who once dated her High School buddy, Bruce Springsteen, Conover started out in the military as the country’s first female MP (in the WAC’s) then entered corporate life at a time when one could not publically talk about sexual orientation. Conover opened this place as tribute to her favorite show in the “if I build it they will come” mold. And “they” have been coming. Even the girl who played Tabatha (now grown) has stayed here (though, sigh, The Boss has not). Conover’s attention to detail and little freebies here and there add to the allure. Rainy or cold day? No problem. Take a shnip of shnops – on the house, and pop a complementary bag of popcorn into the microwave, then settle in front of the large flat screen TV in Bewitched’s den, which not only has most cable stations, but Netflix and Hulu as well. Rooms are pleasant, quiet and snuggly. Aunt Clara’s Room (13) is a delightful pale yellow chamber, sunny and happy – with cross-stitch and embroidered pictures on the walls and a charming little bathroom. A multicourse gourmet breakfast, e.g. 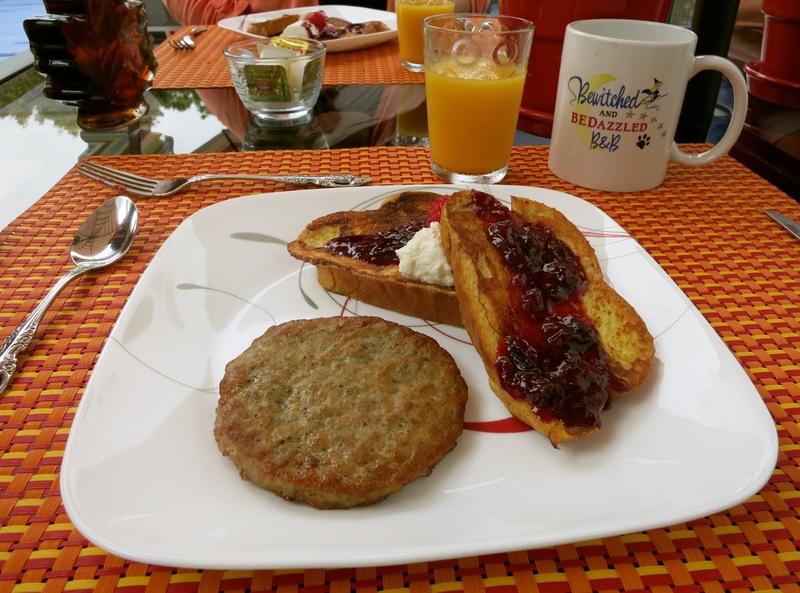 Ricotta French Toast and Berry Frittata, is served on the back deck (with hot-tub) that connects the two homes. Rates from $95-$375 (two night minimum in season) include full gourmet breakfast, free parking, wi-fi, liquors, popcorn, baked goods, and use of towels, chairs and umbrellas for the beach. STAY/VICTORIAN: Boardwalk Plaza. 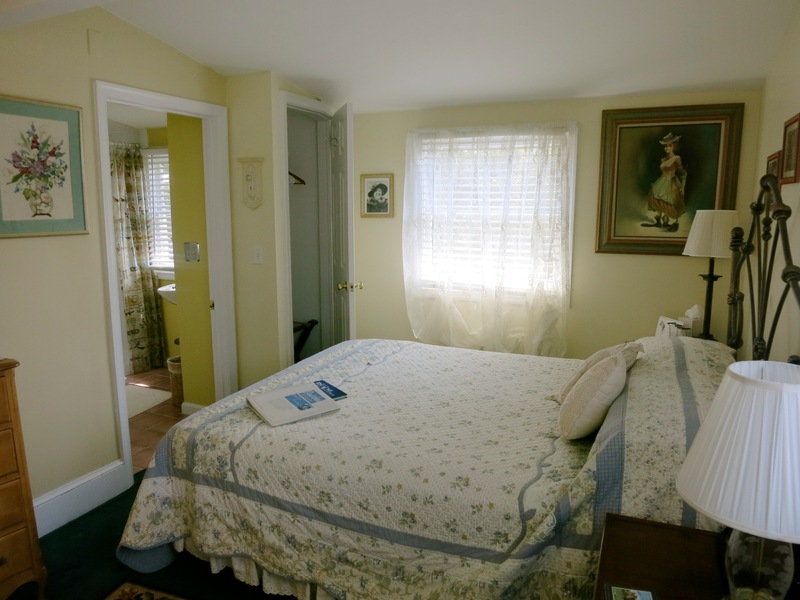 This Victorian themed lodging opened in 1991 as the only “upscale” hotel in Rehoboth. Things have changed, but not the lobby, stuffed with plants, a real RCA Victrola and two extravagant birdcages – one holding an African Grey named Peanut (as old as the hotel itself) and the other an affectionate parrakeet named Emro who will be happy to pop up on your shoulder and nibble your earrings. Towels are complementary for pool or beach use – a small indoor-outdoor pool is perfect for couples or little ones. 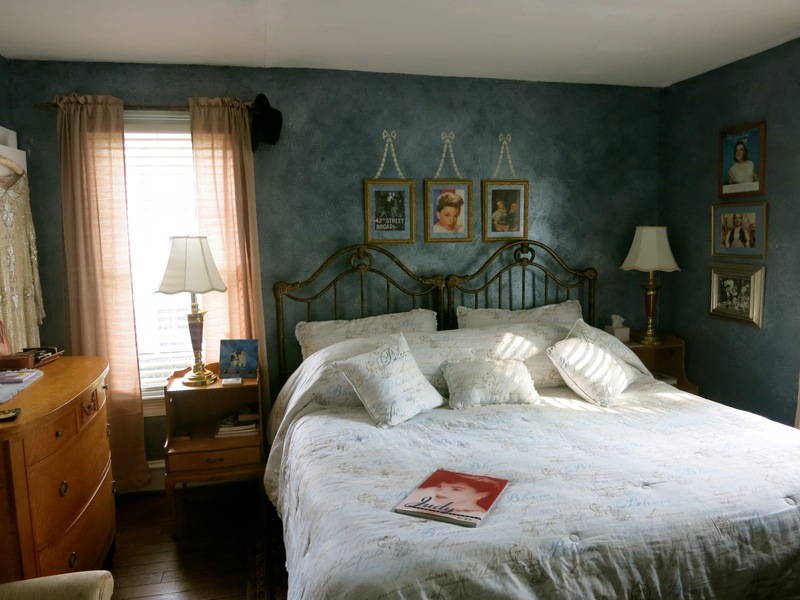 Rooms are “Victorian chic” with floral bedspreads and ceiling fans. Room rates $74-$679 depending on size of room and season. STAY/UPSCALE STAID: The Bellmoor Inn and Spa. 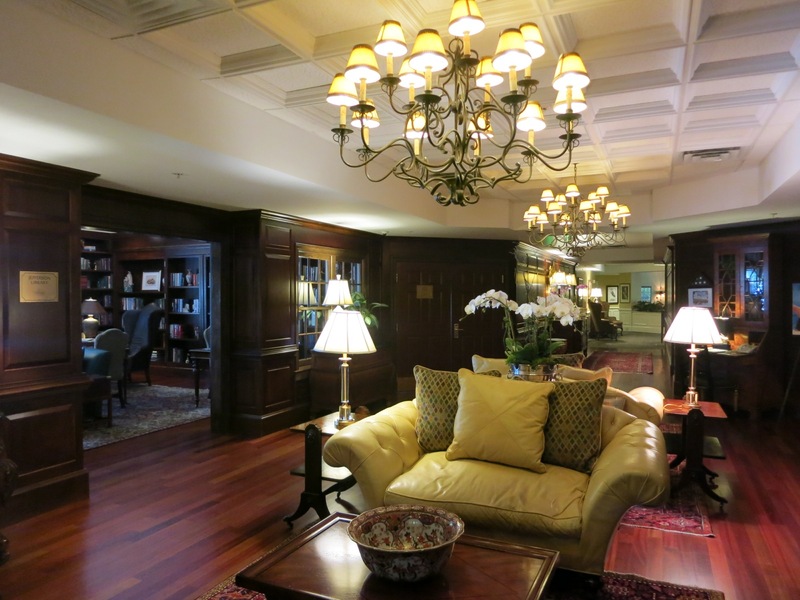 More like a Cigar Lounge than a shoreline hotel, the Bellmoor is very unassuming from the outside. Two blocks from the beach, the dark, clubby, wood-paneled atmosphere speaks a refined clientele, and has found a following with those who appreciate service, first-rate furnishings and lovely gardens over sand and ocean views. Room rates include 3pm cookies and lemonade, a hot breakfast with signature sticky buns and fresh scones, and free parking. Rates from $139 (small room, winter)-$649 (one-bedroom suite high season). 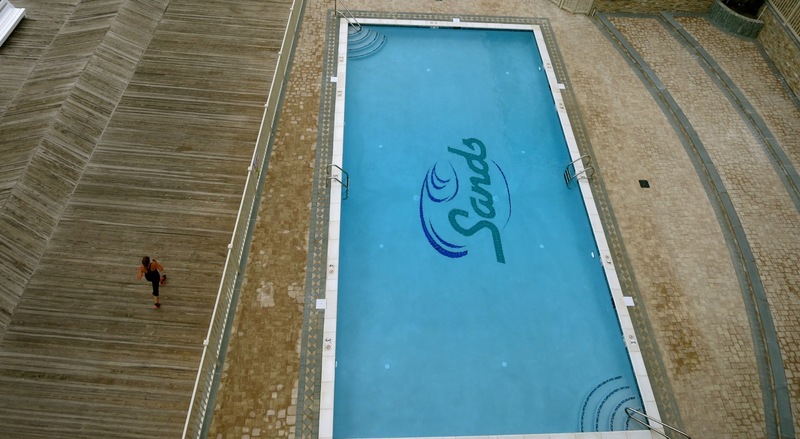 STAY/FAMILY: Sands Hotel. Right on the boardwalk, in the midst of the action, this was until last year, the beat-up mid-range place to stay. But a new winter 2013 renovation has added the only oceanfront saltwater pool in town, a completely new wing and room décor refreshed in white duvets, granite counters and pinstripe carpeting. Room rates $89-$350 includes free beach-chairs, towels and umbrellas to use.